This week I was reminded of the truth of Hebrews 4:12 when God used scripture to expose my sinful tendencies to be critical and judgmental. In Community Bible Study this year we are studying the Servants of God which includes the books of 1 & 2 Samuel. I had done this study a couple of years ago and was familiar with the people in the scripture, not only with how they started, but how they finished. Though the Israelites have rejected God as their King and desire an earthly king, so they can be like the other nations, God answers their request. He gives them Saul as their first king, but not without ample warnings about the consequences of being governed by an earthly king instead of God. Saul started out with promise, but his life took a left turn and he did not finish well. As I completed this lesson, listened to the lecture and read this week’s notes the Holy Spirit has convicted me and revealed my sinful tendency to be critical and judgmental. When I read about Saul’s beginnings, I found myself doubting his good intentions and didn’t want to acknowledge some of the good things that he had done. He demonstrated humility after Samuel had first anointed him as king. He chose not to take revenge against naysayers who were against him. He rose up to defend people who were being threatened by an enemy. I didn’t want to see the good because I know what’s coming down the line and the left turn that Saul will take. To reinforce that conviction, early on in the lecture our teaching director Dave said, “Don’t dismiss or think you can’t learn something from someone who turns out to be a bad person.” He also reminded us that this story isn’t about Samuel or Saul…its God’s story. When reading this week’s notes I encountered the same thing when it talked about some of the things that Saul did that were good and right. So how come I want to dismiss that or cast aspersions on his motives and think he wasn’t sincere? The bottom line is that I don’t know the genuineness of Saul’s heart, only the Lord knows that. He alone is the One who knows the thoughts and intentions of a person’s heart. 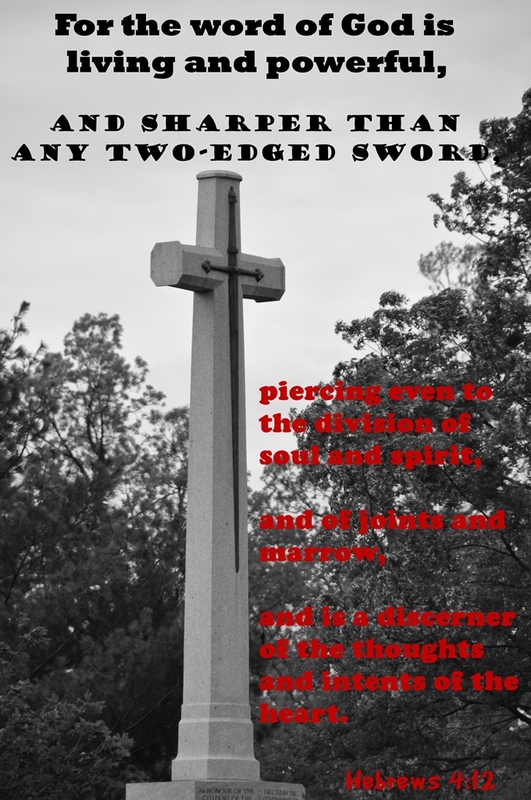 Unless God reveals someone’s motives in scripture then I am imposing my thoughts and interpretation on the text…eisegesis verses exegesis. Lord…thank You for revealing where my heart and attitude was not right before You. Thank You for the conviction of the Holy Spirit and the Word of God which is true and unchanging. Please forgive me for my arrogance in presuming that I could be the judge and jury against someone. Help me to recognize and repent of a critical, negative and judgmental spirit. Help me have a heart like Yours. 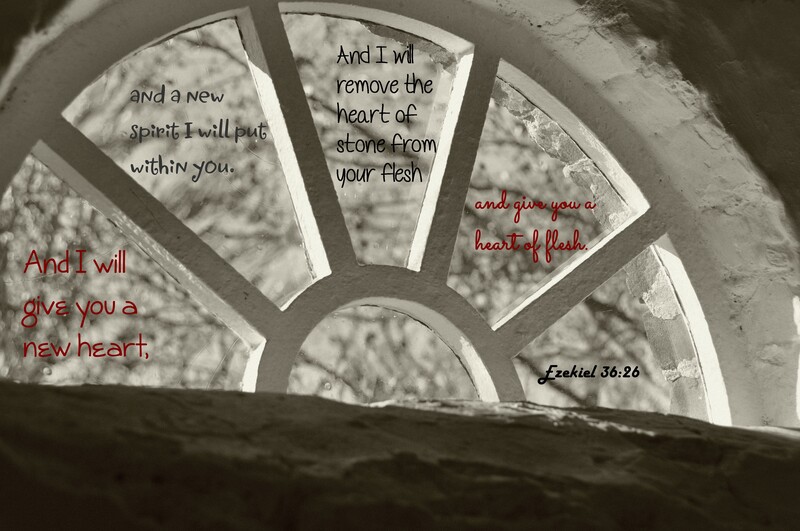 Thank You that You have given me a heart of flesh and have removed my heart of stone. Keep doing Your mighty life-changing work in my life. It’s in Jesus powerful and transforming name I pray…Amen! 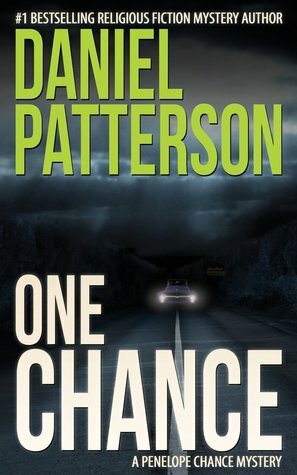 I came across author Daniel Patterson via an email suggesting that I might like his books. I checked out them out and the reviews were promising. So I selected his book One Chance and boy oh boy, I was pleasantly surprised. Daniel does a great job on developing the characters, slowly unveiling them as the story progresses. One Chance was intriguing and I liked trying to figure out who done it in the midst of all the twists and turns. I highly recommend this book. The thing I appreciate most about Daniel Patterson’s writing is that this is a man who knows how to write good Christian fiction. He gets it. He knows how to weave Christian faith into his character’s lives. He has ordinary people, dealing with trying or difficult circumstances and relying on their faith. They grow in their faith or they may stumble, but their faith is an integral part of their life. I found the characters very believable. Not only is Daniel a gifted writer, he understands that he has the greatest message, the Gospel of Jesus Christ, to share with his readers. I came away from reading One Chance encouraged and strengthened in my faith. I very much look forward to reading more of Daniel Patterson’s books in the future.